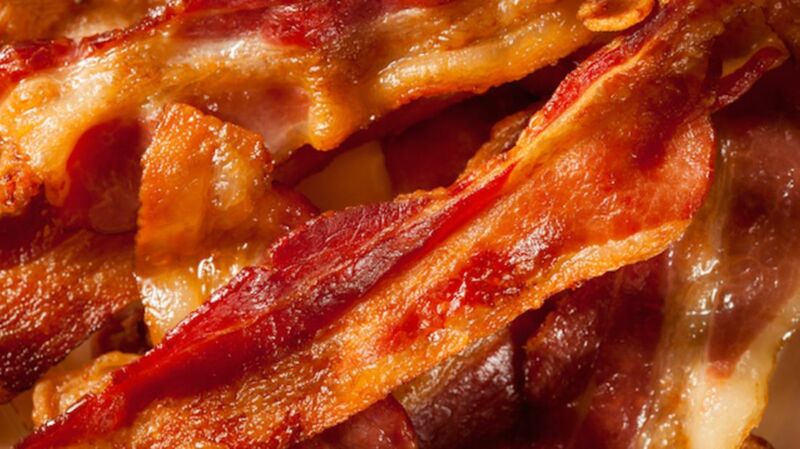 How Much Does Your State Love Bacon? We're well past the point of peak bacon (we think), but that doesn't mean there aren't still angles to the story of America's favorite cured meat. While we (meat eaters) pretty much all love bacon, some people's adoration is stronger than others. Ginny's recently created an interactive map of the "50 States of Bacon," which features a color scale to show which states love bacon the most. To determine the popularity of the salty treat in each state, the creators used Instagram's API to gather nearly 34,000 photos taken in the United States between December and February that included the hashtag #bacon. They then looked at nearly 65,000 photos tagged with related words (food, breakfast, lunch, dinner). According to the data, bacon is most popular in Nebraska (132 percent above the national average), while eaters in Hawaii are consuming less (or at least not sharing photos of it). The interactive map also includes fun facts and commentary about bacon, which are revealed when you click on a state or choose it from the drop down menu. For example, Senator Ted Cruz once appeared in a video cooking bacon on the barrel of a machine gun, and actor Kevin Bacon (wink) was born in Pennsylvania.